Personalized medicine suitable for individual patients in tissue engineering is a significant challenge. Owing to the recent growth of 3D printing, various methods of building objects have been proposed. However, there is very little information about the mechanical properties of the pieces obtained by controlling the process variables using composite filaments. Fused deposition modeling (FDM) technology was used to fabricate new scaffolds with infill patterns, interconnected channel networks, controllable porosity, and size. Polylactic acid (PLA)/carbon nanotube (CNT) filaments were synthesized using the melt extrusion technique. An improvement in the mechanical properties was observed in composites compared with the pure polymer. Moreover, no toxicity was expressed by stem cells after 24 h of incubation in the presence of composite filaments for a high CNT concentration. Our results will aid in the scaffold design of composite filaments through the modeling of process parameters and mechanical properties. Hye-Been Kim and Dinesh K. Patel contributed equally to this work. The online version of this article ( https://doi.org/10.1007/s42853-019-00011-3) contains supplementary material, which is available to authorized users. This research was supported by the Basic Science Research Program through the National Research Foundation of Korea (NRF), funded by the Ministry of Education (No. 2018R1A6A1A03025582) and the National Research Foundation of Korea (NRF-2016R1D1 A3B03932921). F. Asghari., Samiei, M., Adibkia, K., Akbarzadeh., A. and Davaran, S. 2017. 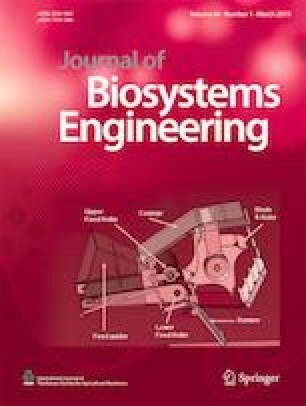 Biodegradable and biocompatible polymers for tissue engineering application: a review. Artificial Cells, Nanomedicine, and Biotechnology 45:185–192. doi: https://doi.org/10.3109/21691401.2016.1146731.